Bridgestone launches its "Tire Safety and Eco Station" campaign. The campaign is organized for the second year in a row, aiming to help reduce road accidents rates in Egypt, educate on the importance of tires for car safety, and to instruct the audience on the proper tire maintenance and safety procedures. The campaign, developed by Bridgestone Middle East & Africa representative office in Egypt together with Nile Projects & Trading Co, its only local distributor, is launched at Carrefour City Center, Maadi. The campaign will continue for one week, before moving to Alexandria, for the first time, on September 22, where it stays for a week at Carrefour Alexandria. The company plans to expand the campaign over more than one governorate, owing to its importance in instructing the citizens on the seriousness of ignoring tire care and maintenance, which are the most essential safety factors to the car and driver. 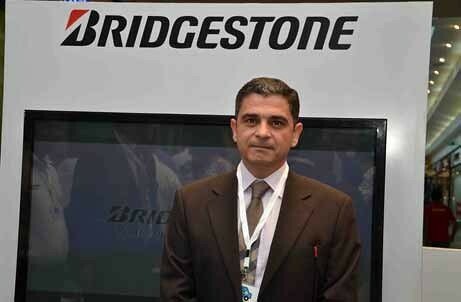 Mr. Ahmed Yehia, Bridgestone's North Arab & Africa Branch General Manager, said that Bridgestone's "Tire Safety and Eco Station" campaign comes within the framework of the company's social responsibility in the Egyptian market, and its keenness to ensure the safety of both the drivers and passengers. It primarily aims at spreading the awareness of the principals of safe driving and car safety maintenance, especially taking into consideration the high rates of road accidents in the past few years. He added that the campaign will be launched in the presence of Colonel Dr. Ayman El-Dabaa, the Central Traffic Administration, Amr Macgyver, the most famous action and car-race designer and player, Ramy Serry, a car race celebrity in Egypt, in addition to a number of press and media professionals. He added that the campaign hosts a number of activities, including the opening of multi-purpose station to acquaint the public on the proper car tire check and maintenance procedures. He explained that the campaign activities include training drivers on how to check the proper tire air pressure and tread wear to avoid the dangers of driving with under-inflated or over-inflated and worn-out or damaged tires. They also learn about the latest tire manufacturing techniques, which provide all the safety precautions to driving in different climates and on various roads. The booth hosts a range of recreational activities for children, including eco-themed drawing and entertainment activities, where they would have the most entertaining experience. Eng. Mohamed El Naggar, General Manager of Nile Projects & Trading Co, notes that, in the booth, there will be a number of Bridgestone engineers and experts to provide answers for all the visitors queries, raise drivers awareness on the key role of tires for keeping a vehicle safe on the road, and that taking a few minutes to check the car tires before setting off can significantly reduce the risk of having an accident. He declared that, through this campaign, the company aims to educate the drivers the importance of ensuring proper tire maintenance. Moreover, it teaches the visitors some simple and quick-to implement tires' checking procedures that should become a routine act for every driver before going behind the wheel, hoping that the campaign would contribute to rendering these practices a pre-driving necessity. The campaign also emphasizes the positive environmental impact of maintaining correct tire pressure. Driving a vehicle on properly inflated tires helps to reduce the rolling resistance of the vehicle, which reflects on reducing fuel consumption hence minimizing the drivers expenses. It is worth mentioning that, this year, Bridgestone's "Tire Safety and Eco Station" campaign has visited Qatar, Saudi Arabia, Oman, Bahrain and Kuwait. After its stopover in Egypt, the campaign will resume its round and head to Morocco as the next stop.